Explore situational understanding and learn how AI can be used on a common operating picture. The operating environment of US ground forces gets increasingly complicated every day. Information gathered has not only grown in volume but also in complexity including structured and unstructured data from various, often siloed sources making the analysis and the creation of a full situational picture almost impossible. However, in order to successfully execute missions, complete situational understanding is needed. 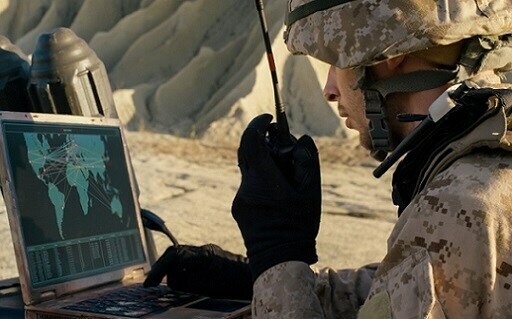 Watch this two-part video and learn how situational understanding is transforming defense and intelligence. Learn how IBM's Cognitive Situational Understanding (or CSU) provides methods beyond the normal solutions for limited network communications. CSU helps its users locate, derive, resolve, visualize, and integrate data, in an adaptable solution framework. As with most new tools and technologies, the best way to understand the true strengths of Cognitive Situational Understanding is by seeing it in action. Here, we set the scene as a situation unfolds in the fictional country of Atropia.